Oakland is the home of the national medical cannabis movement, but even here when people think of using it, they usually think of smoking it. The reality is that more of its healing properties are exposed when it is digested. Cannabis can be widely used to heal and treat all different sorts of ailments, including menstrual cramps, seizures, post-traumatic stress syndrome and cancer. With this ever growing movement coming into its own, horticulturalists and herbal healers like Ms. Parker are definitely becoming more in demand. Hear her out in her own words. 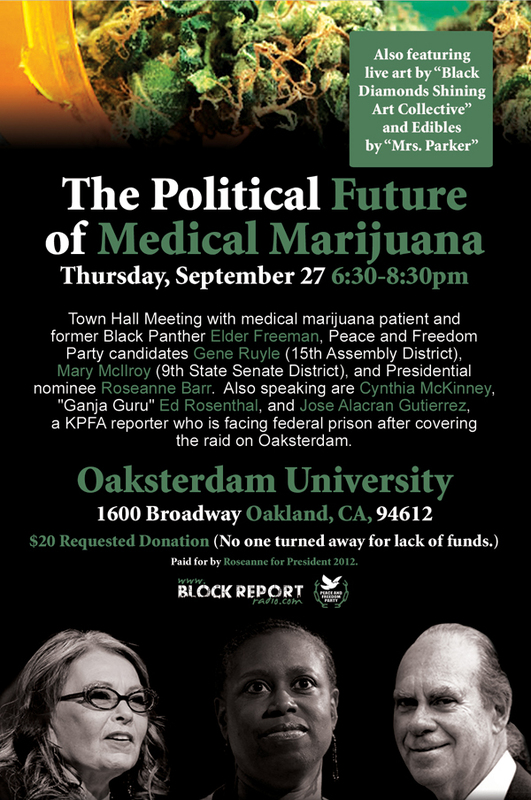 You can see Ms. Parker at “The Political Future of Medical Marijuana” townhall meeting on Thursday, Sept. 27, 6:30 p.m., at Oaksterdam University, 1600 Broadway in downtown Oakland. M.O.I. JR: What makes Ms. Parker’s butter different from store-bought butter? Ms. Parker: Ms. Parker’s BUTTA is different from store-bought butter in that it is infused with cannabis and is meant to be used as a vitamin and/or dietary supplement. Ms. Parker’s BUTTA can and should be used in just the same way store-bought butter is used. You COOK with it all the while receiving the healing, rejuvenating and restorative health benefits of the cannabis plant. M.O.I. JR: What happens different biologically when someone smokes cannabis versus eats it? Ms. Parker: The endogenous cannabinoid system, named after the cannabis plant that led to its discovery, is perhaps the most important system involved in establishing and maintaining human health. Endocannabinoids and their receptors are found throughout the body: in the brain, organs, connective tissues, glands and immune cells. In each tissue, the cannabinoid system performs different tasks, but the goal is always the same: to bring balance to the tissues and ultimately promote rejuvenation and restoration of prime conditions within the cell. When smoking cannabis, the beneficial parts of the plant are not able to reach all of the endocannabinoid receptors throughout the body. Instead they just reach the brain, lungs and blood stream. By ingesting cannabis, the endocannabinoid system is deeply infiltrated, allowing for total absorption of the healing properties of this plant. By ingesting cannabis, the endocannabinoid system is deeply infiltrated, allowing for total absorption of the healing properties of this plant. M.O.I. JR: What kinds of people can benefit from cannabis butter? Ms. Parker: Cannabis is safe for ALL to use, not just the sick and not just adults. It can and should be used as a preventative herbal vitamin/supplement as well as a medication to aid in total body restoration under the supervision of a certified herbalist or physician. Cannabis has been shown effective in treatment of a wide range of health issues including cancer, seizures, migraines, glaucoma, multiple sclerosis, Tourette’s and obsessive compulsive disorder, attention deficit disorder and attention deficient hyperactive disorder, irritable bowel syndrome ( but there are IBS symptom treatments to stop it before it damages someone’s life) and Crohn’s disease, Alzheimer’s, premenstrual syndrome and much more. M.O.I. JR: Do you favor natural remedies over pharmaceutical ones? Why? Ms. Parker: I think Thomas Edison was onto something when in 1902 he said, “There were never so many able, active minds at work on the problems of disease as now, and all their discoveries are tending toward the simple truth that you can’t improve on nature.” Here we are some 110 years later still fumbling with the universal fact that Mother Nature knows best. Why else would our bodies contain a unique and highly sophisticated system for healing itself that interacts directly with the chemicals found in the cannabis plant? You don’t need to be Thomas Edison smart to figure that out. M.O.I. JR: Can you talk a little bit about your work as a horticulturalist? Especially now, in the time of genetically modified foods (GMOs) and widespread toxic pesticide use within the agriculture industry, my work is necessary and revolutionary. Ms. Parker: Being in nature and working with plants has always been a passion of mine. Working as a horticulturalist affords me the opportunity to get paid to do what I love. Especially now, in the time of genetically modified foods (GMOs) and widespread toxic pesticide use within the agriculture industry, my work is necessary and revolutionary. Providing my community with plants grown from seed without chemical fertilizers or harmful pesticides is my way of ensuring health and well-being now and for generations to come. Knowing what to grow, when and where and what it can be used for is very useful information. There was a time when all families grew their own food, and in that time we didn’t have most of the health issues we face in today’s society. In those times, cannabis, like ALL OTHER PLANTS, was perfectly legal and prescribed by medical doctors for regular use. My work in horticulture is to ensure that more families have the knowledge and skills necessary to sustain themselves. It is time we move away from being consumers and move towards being producers and self-sufficient. There was a time when all families grew their own food, and in that time we didn’t have most of the health issues we face in today’s society. In those times, cannabis, like ALL OTHER PLANTS, was perfectly legal and prescribed by medical doctors for regular use. M.O.I. JR: Where can people get more information about your goods and services? Ms. Parker: The best way to reach me is via email 510MsParker@gmail.com. You can also check for me on Facebook by searching for 510MsParker. 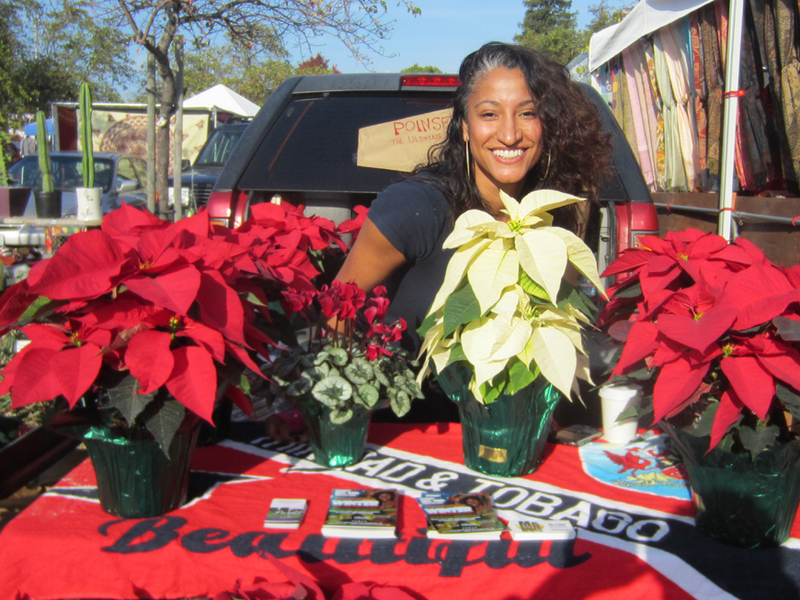 Finally you can follow me on twitter @510MsParker or check for me at The Farmstore, 1740 San Pablo Ave., Oakland. Until then, here’s to health, wealth and EATING your medicine. Meaningful dealing here with Cannabis issue! Cannabis is reputed to use for healing and treating all different sorts of ailments, including menstrual cramps, seizures, post-traumatic stress syndrome and cancer. I appreciate of it. It's a most important composition!! I have take some of useful information from in this composition. I know that Oakland is the house of the national medical cannabis movement, but even here when community think of using it, Hey, have you any knowledge about this matter. Finally i want to say you that thanks a lot for your nice sharing. Very informative post. I am very happy to read your article really great written and easily to learn . No one outside of the Africa can do anything to stop this stealing of land custom essay writing services, it is the leaders of the African state who have allowed this to occur. Such an excellent yet exciting publish. Thank you very much for discussing this beneficial things. Significant working here with Weed issue! Weed is well-known to use for treatment and working with all different sorts of conditions, such as menstruation pains, convulsions, post-traumatic stress problem and cancer. I appreciate of it. She has ability to do it and it was nice interview. http://my-essay-writing-service.com/ This site much better then other because our purpose is Uk students help. Marijuana is too dangerous for human health its effect on the nervous system of humans. We should avoid from these kind of Drugs. Cutting edge life we confront my tests and Drug enslavement is one of them. Marijuana became world most usage drugs. Its extremely risky to human life. We might as well censure this and initiate movement against those individuals who were developing this Drugs. Do you ever feel your muscles sore if yes what you did with that do you ever know about dead sea bath salts. Yes i am talking about Best Bathsalt for Women now a days it is widely use in our life mostly peoples who go to gym for exercise , swim or start running they feel muscle soreness. This is the best thing to get relax from muscle soreness. Cannabis came to be planet most utilization drug. Its greatly hazardous to human life. We should just rebuke this and launch development against those people who were advancing this Drugs. Fashion can be easily depicted as a mirror. Just as your expressions, reactions and handwriting reflect your personality, fashion and the way you carry out yourself speak volumes about who you really are.